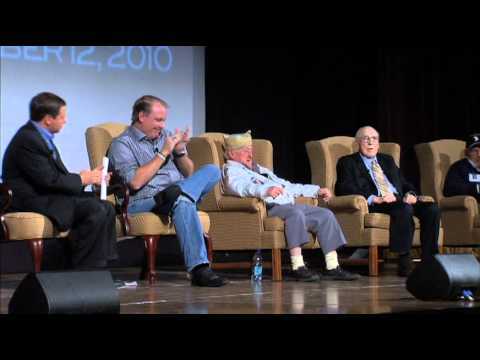 We are delighted to share a short video that includes clips of a panel discussion between WWII Easy Company veterans, actors from the HBO miniseries Band of Brothers, and our chief historian, Ron Drez. Hosted by 3-time World Series-winning pitcher Curt Schilling, American heroes Ed Tipper, Al Mampre and Babe Heffron, will remind you that freedom is not free. To hear each of them recount their time fighting with their Band of Brothers is an honor.